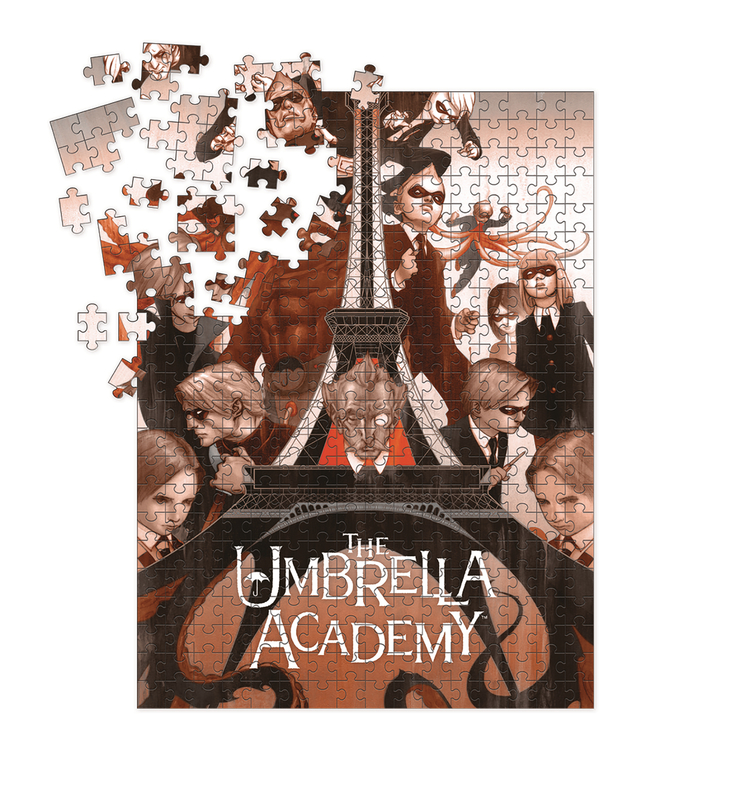 Deluxe 1,000 piece puzzle featuring gorgeous art by James Jean from the cover of the very first issue of The Umbrella Academy. The completed puzzle measures 20' x 27' and is printed in a high-quality matte finish. The puzzle pieces are secured inside a bag and packaged in a full-color box.